 The Professional Applied and Computational Mathematics (PACM) is an innovative Professional Science Master's (PSM) degree program at Buffalo State College. This program, a collaboration between Buffalo State and a group of partners from Buffalo and the Western New York area, brings together a diverse interdisciplinary group of active faculty from academia aand advisory board members from business, industry, non-profit organizations, and government agencies. The goal of the PACM program is to train graduate students for careers in many emerging fields that now demand a new type of workforce with solid and in-depth background in applied and computational mathematics, as well as with effective business and communication skills. The PACM program consists of 27 credits of academic training in data analysis, mathematical modeling, business communication, and management, as well as 3 credits of research internship. What is a Professional Science Master (PSM)? Historically, applied mathematics consisted principally of applied analysis, most notably differential equations; approximation theory (broadly construed, to include representations, asymptotic methods, variational methods, and numerical analysis); and applied probability. These areas of mathematics were intimately tied to the development of Newtonian physics, and in fact the distinction between mathematicians and physicists was not sharply drawn before the mid-19th century. This history left a legacy as well: until the early 20th century subjects such as classical mechanics were often taught in applied mathematics departments at American universities rather than in physics departments, and fluid mechanics may still be taught in applied mathematics departments. Applied mathematics is a branch of mathematics that concerns itself with mathematical methods that are typically used in science, engineering, business, and industry. Thus, "applied mathematics" is a mathematical science with specialized knowledge. The term "applied mathematics" also describes the professional specialty in which mathematicians work on practical problems; as a profession focused on practical problems, applied mathematics focuses on the formulation and study of mathematical models. In the past, practical applications have motivated the development of mathematical theories, which then became the subject of study in pure mathematics, where mathematics is developed primarily for its own sake. Thus, the activity of applied mathematics is vitally connected with research in pure mathematics. Computer science or computing science (abbreviated CS or CompSci) is the scientific and practical approach to computation and its applications. A computer scientist specializes in the theory of computation and the design of computational systems. Its subfields can be divided into a variety of theoretical and practical disciplines. Some fields, such as computational complexity theory (which explores the fundamental properties of computational problems), are highly abstract, while fields such as computer graphics emphasize real-world visual applications. Still other fields focus on the challenges in implementing computation. For example, programming language theory considers various approaches to the description of computation, whilst the study of computer programming itself investigates various aspects of the use of programming language and complex systems. Human-computer interaction considers the challenges in making computers and computations useful, usable, and universally accessible to humans.